Local business men and women have put their best foot forward and taken a swing at the Annual Port Chamber Golf Day. 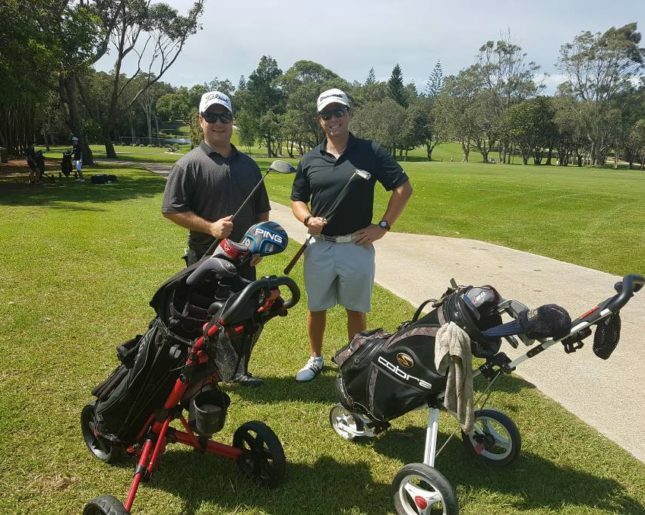 Casual golfers and seasoned professionals teed off together for the shotgun start, ambrose-style tournament across nine holes at Port Macquarie Golf Club on March 29. The yearly networking and sports event focuses on celebrating a social game, barbecue lunch and drinks. Port Macquarie Chamber of Commerce executive officer Mark Wilson said the event had been hugely popular last year and about 72 people were playing this year. “The Port Macquarie Chamber is thrilled to be able to present the annual golf day,” he said. “It’s an opportunity for business people to social and have fun. Prizes are on offer for the loudest golfing outfit, nearest the pin, longest drive, straightest drive, first, second, third and last place.